Welcome to Books From the Heart! Pull up a chair and have a look-see. This website is still under construction, as I’m a total WordPress newbie, but hopefully I’ll keep adding content on a regular basis. The front page will keep you up to date with what’s new with books and appearances. Individual tabs will tell you more about each book and story. 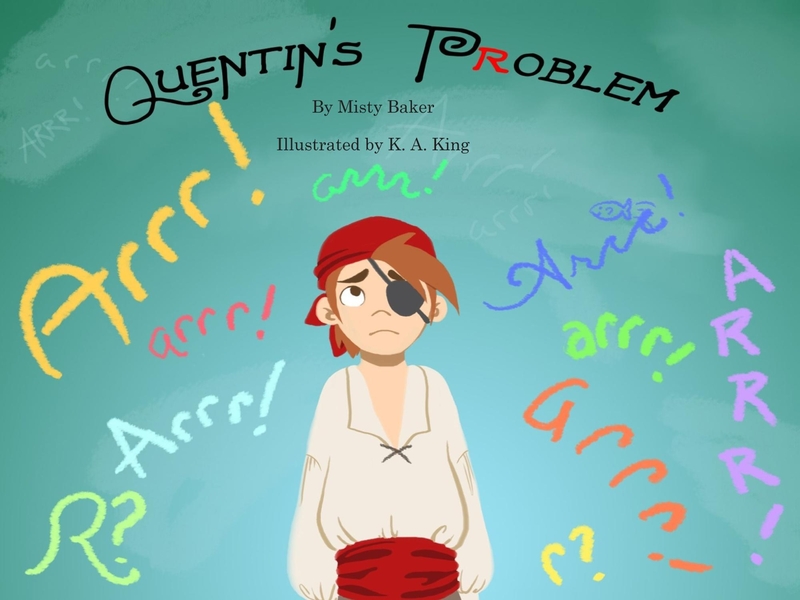 My first children’s book, Quentin’s Problem, is now available in print via Amazon. It’s the story of a pirate boy who can’t say, “Arrr!”, inspired by my youngest daughter’s problem with that particular letter when she first started school. It’s beautifully illustrated by artist K.A. King and will make a great Christmas gift for any of the little ones on your list. It’s only $6.99 or $5.64 with Prime. Click HERE to have a look. Help a l ittle bumblebee find her wings! Fuzzy Buzzy’s Treasure is about a bumblebee who learns a valuable lesson about sharing and teamwork. My own children inspired this idea last summer when they watched a little bumblebee they named Fuzzy Buzzy as she gathered nectar from the flowers on our back deck. If you sponsor the production of my second children’s book, Fuzzy Buzzy’s Treasure at $25, $50, or $100, you’ll get some great thank you gifts, including signed books, signed original artwork, and t-shirts. Click HERE to access the GoFundMe campaign! Next > Want to Meet a Pirate? Enter your email address to follow Books From the Heart and receive notifications of new posts by email. Put the kids to bed and sample some delicious love stories on Mysti Parker.com. You'll find romance for every reader's taste!